In today’s world, people have to rely on different technical gadgets for their day to day functions. Statistics show that the average American spends more than two hours a day on his or her mobile device. From smartphones to tablets, there can be witnessed a constant increase in the users with the passing of every single day. Mobile phones are the most used gadgets nowadays as there can be seen a sudden rise in the downloads of the mobile apps in recent years. Several business companies seek innovative solutions for refining the overall workflow in order to reach their customer effectively. The mobile application design and development has achieved a status where it is able to resolve a number of business-related issues. 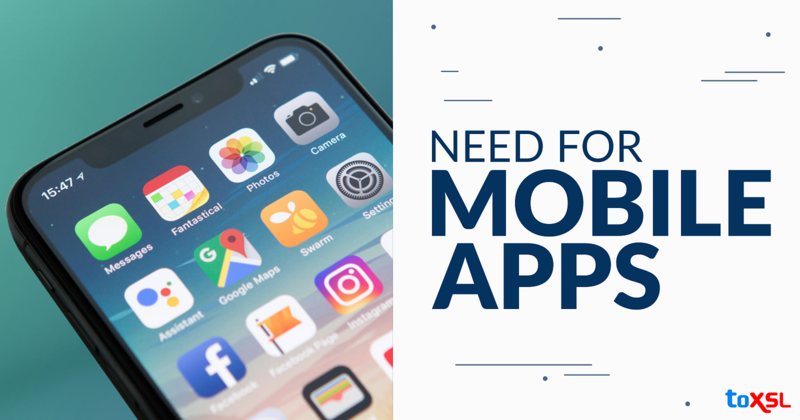 These days mobile apps play a keen role to enrich the position of your business and expand your reach to the global avenue. This may be the reason that creating mobile apps has become essential today. When we talk about the mobile apps, it not only creates a platform for your business to avail more traffic but it improves the customer service too. It helps in staying in real time contact with the user. Plus, you can also do stuff like providing push notifications to the customers, revising product portfolio, and much more. These also help in getting regular feedback from the customers about your services and functionality. In short, it let you provide better care and value to your customers. Different mobile applications can prove to be the best marketing tool for your business. It also provides ease of marketing task too. It lets you recognize the interest of the users and know their state of mind. By utilizing these apps, you can let your customers know about your upcoming offers, new arrivals and other updates about the business. In simple words, it helps in marketing of your products and services. An effective marketing of your mobile application helps in promoting the brand recognition which ultimately leads to more traffic. Through an engaging mobile application, it becomes easier to avail exceptional results regarding the same. All you need is to build the app in such a way that it could hold the user for longer. For that, you can hire automation developer or other experts so that the overall promotion of the app can be done effectively. By remaining on the top of customer reviews, you can remain aware of how you are faring as a company. Nowadays, almost all consumers choose to read reviews before buying any product or service. Hence by generating an app, you can increase the opportunity for new client approaching your business. With the use of mobile applications, you can simplify task management as well as time management. It will also make it easier to create meetings, add participants, and share required information with the employees. Well! If you want to establish the reputation of your business or looking for an option which can enhance the brand loyalty, then mobile app development services are the perfect option for you. There can be seen a huge rise in competitors attached to the same which automatically defines its importance.